If you or loved one has experienced any of these injuries due to work then call 818-812-5639 or schedule a free consultation with our Repetitive Stress Injury Attorneys at Koszdin, Fields, Sherry & Katz in Van Nuys today. If anyone told you at the age of 5 that you would have to do the same movement over and over again they would probably spin around in a circle and so no way! When thinking of our dream job in our younger years, the idea of physical activity didn’t really occur. Instead, we thought about how well the job would mess with our identity. We thought about how cool the profession was portrayed on television. We never considered how our bodies would react to the jobs we loved. For example, working as a nurse is an honorable profession. You get to help people by making them feel better. You get to be a visitor in someone’s space when no one has come to visit. Yet, you have to do common activities like lift patients, change bedding, pull medicines from shelves, and type notes. These activities are vital and important, but they are also strenuous and can wreak havoc on your body. So what do you do if you succumb to a repetitive stress injury? You tell your employer and file a workers compensation claim. 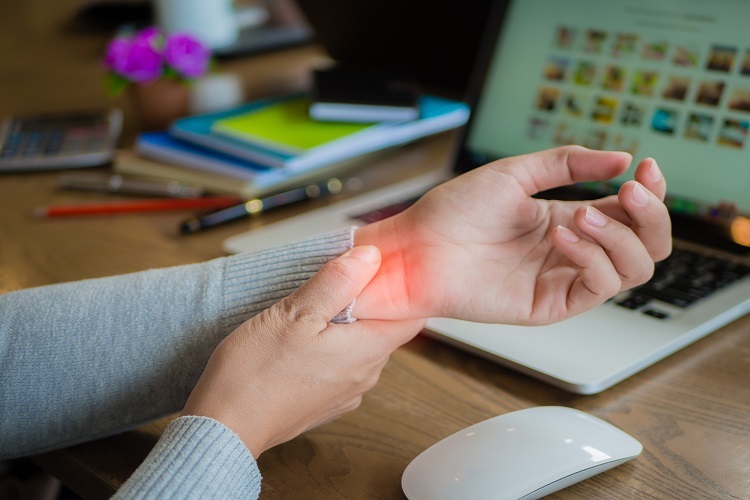 carpal tunnel syndrome in hands and wrists: if your job requires you to type, write, handle intricate handwork, or work long hours with your hands then you are susceptible to carpal tunnel syndrome. Injuries from this result in numbing, tingling, or sharp pain in hands, wrist, and can run up to your elbow. Should Injuries like torn Rotator Cuff or torn Labrum: if your job requires you to lift often then you may find it straining on your shoulders. These kinds of injuries may require shots or at its worst, surgery with long recovery time. Tendinitis of elbow or knee: if your job requires lots of bending for lifting or for moving like construction workers or furniture movers then you may be subject to this kind of injury. Vibration injuries: Or vibration induced white-finger, is particular to construction or jobs that deal with heavy equipment. It can cause nervous system damage including loss of grip strength and loss of sensation. If you or loved one has experienced any of these injuries due to work then call 818-812-5639 or click here to schedule a free consultation with our Repetitive Stress Injury Attorneys at Koszdin, Fields, Sherry & Katz in Van Nuys today.